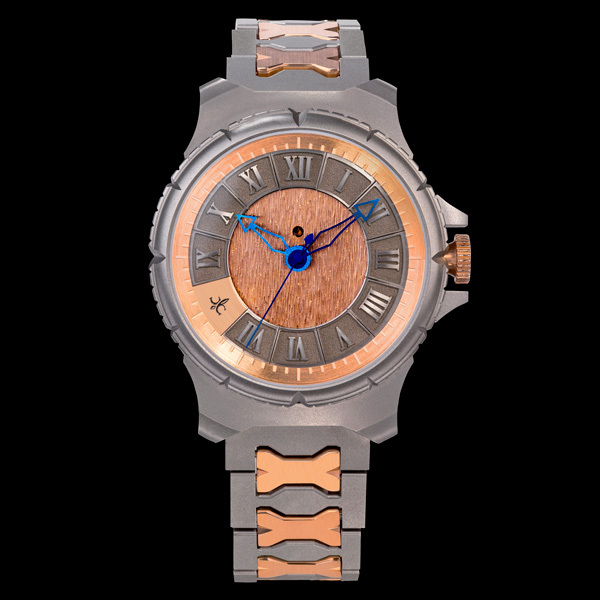 By creating his fourth collection, Fabien Lamarche gathers the automobile and watchmaking worlds, and presents the first automatic movement carrying the precious and personal information of the license plate. 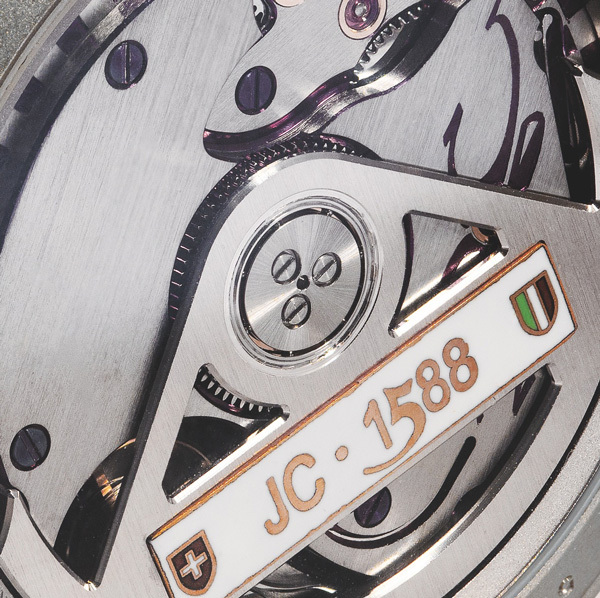 For the sole pleasure of its owner, this masterpiece reveals this automobile reference on its rotor. 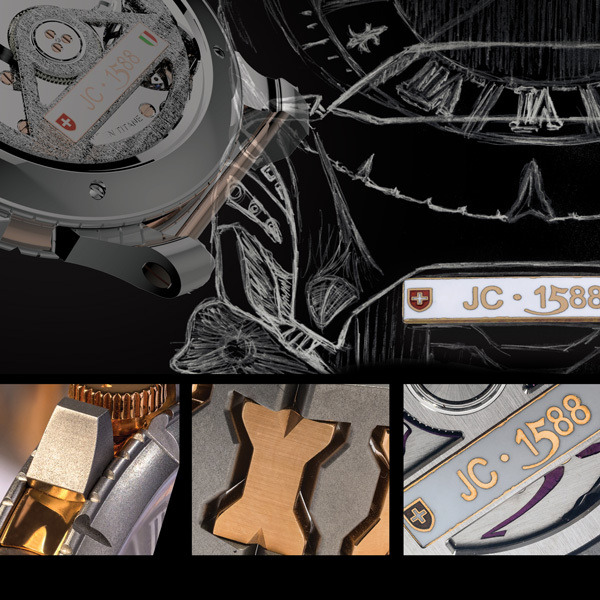 Miniaturized and harmoniously crafted in solid 18 ct gold and traditional enamel, this license plate offers endless customization options, making each masterpiece JC1588 unique and personal. 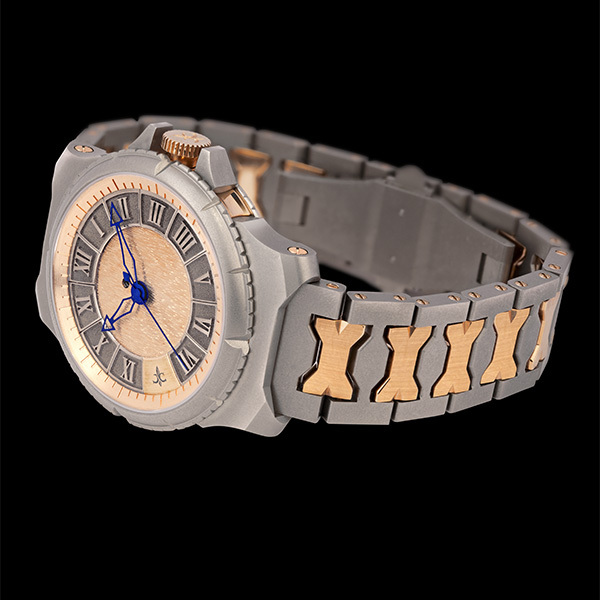 Mechanical movement made from solid 18ct 5N red gold and titanium, self winding, hand- engraved and hand-decorated, enameled 18ct gold service indicator, power reserve of more than 55 hours. Solid 18ct gold and enamel rotor with insert customizable according to the design of the license plate of the car. Case made from solid titanium and 18ct 5N red gold 41mm, sapphire crystal and case-back with anti-reflection coating, solid 18ct 5N red gold collar. Screwed crown in solid 18ct 5N red gold. Crown protection in solid titanium. Functions: hour, minutes, centre seconds, 4- year service indicator at 12 o’clock. In a discreet window at 12 o'clock, the enamelled gold oil drop symbol will appear after four years in operation, when the watch must be serviced. 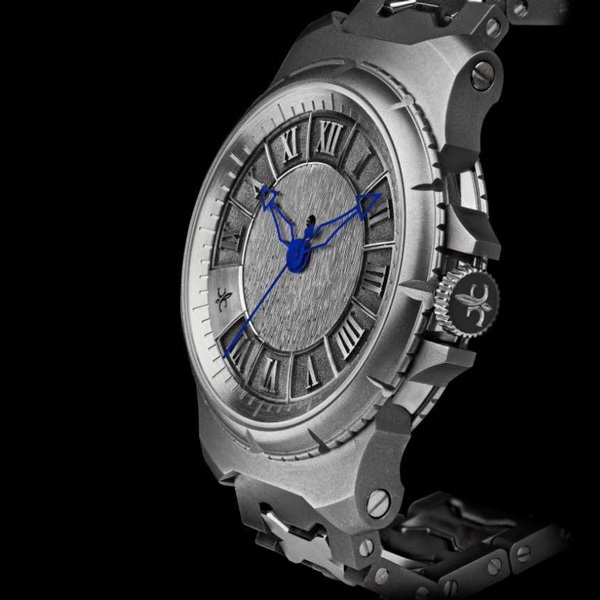 13-part dial made from enamelled solid titanium and 18ct 5N red gold, solid titanium domed cartouches with extruded roman figures. Solid titanium and 18ct 5N red gold bracelet equipped with a double folding buckle in solid titanium. No chemical treatment neither lacquer.